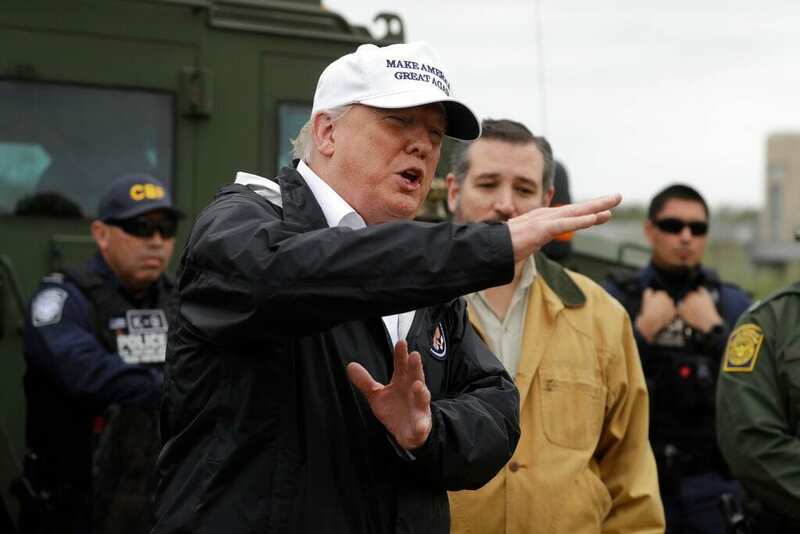 Everyone in Washington including the president of the United States has consistently said he or she would like a legislative resolution to the current impasse on the need to secure the southern border. It is unlikely that there will be a legislative solution any time soon. However, the will of the American people is to stop illegal immigration. The urgency to build a border wall cannot be overstated. In his Oval Office address to the nation last week, President Donald Trump laid out the numbers. Border Patrol agents along the border concur that a wall is necessary and integral if we are to stop the onslaught of drug and human trafficking, and terrorists on the border. If a wall is constructed, the humanitarian crisis would become manageable, as the tens of thousands of people risking their lives by attempting to cross the rugged frontiers of northern Mexico and the Southwest United States would be deterred from taking that chance. In the years to come, the question will not be why President Trump and his allies insisted on building a border wall, but why the Democrats were emotionally attached to preventing security for America. I suspect that House Speaker Nancy Pelosi’s claim that a border wall is immoral if remembered at all, will be treated with derision. The American people understand that failure to control our border is an existential threat. It is an emergency. Democrats previously understood that we needed a barrier, a fence…a wall. The election of President Trump in 2016 changed all things politically. Those who swallowed the dream that Hillary Clinton would become president woke up to a reality that they simply cannot digest. Their anger at the mere thought that President Trump will continue in office for two more years, and likely six more years, especially if a border wall is built, has clouded their judgment. One of the important changes the Democrats made on the first day they took over the U.S. House of Representatives was to restrict any advance appropriations without the explicit approval of Speaker Pelosi. Not only does that impact defense contracts and spending, but it means that appropriations for a border wall that may take years to complete would be in jeopardy. In the current crisis, the Democrats have refused to negotiate. President Trump has moved off of his position for $25 billion to fund the entire wall and has reduced his request to $5.7 billion. He has shifted from a solid, concrete wall, which I support, to a slatted, iron fence. Despite these compromises, Democrats refuse to negotiate. Their refusal indicates that they do not appreciate the exigent circumstances of the border with Mexico. Will Democrats and their leaders more fully understand the gravity of the situation when the new caravan currently forming in Honduras arrives on our border? I doubt it. Part of the problem is legislative. Wall funding, which passed out of the House in December while the Republicans still controlled that chamber, couldn’t pass the Senate because of the 60-vote rule. Now the Democrats are in charge of the House, and they are locked in. The House will not pass border wall funding. Part of the problem is political. The Democrats are afraid a Trump victory on this issue will assist President Trump and the Republicans in the 2020 election cycle. Frankly, the biggest obstacle to resolving this issue is personal. Many Democrats simply hate Donald Trump and cannot abide his presence in the Oval Office. They would rather die politically than give President Trump a victory. The legislative, political and personality problems involved, coupled with the very real emergency on the border, indicate that, although he has said he doesn’t want to, the president is actually left with only one viable option: declare a state of emergency.